I’m making a big wall of hand embroidery designs for my craft room. 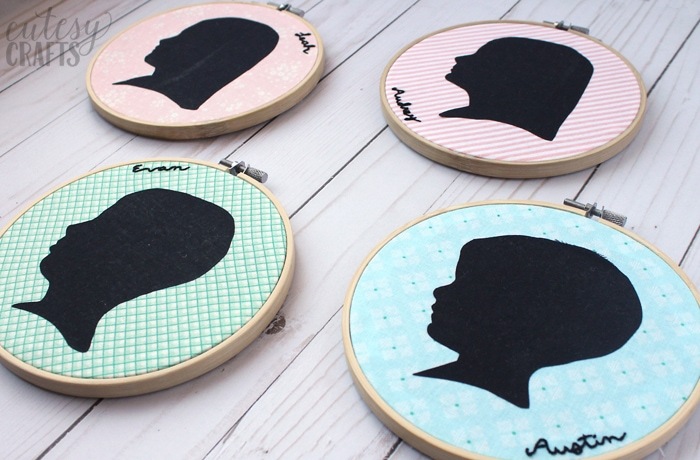 I thought it would be fun to incorporate my children somehow, so I made these cute silhouette embroidery hoops. 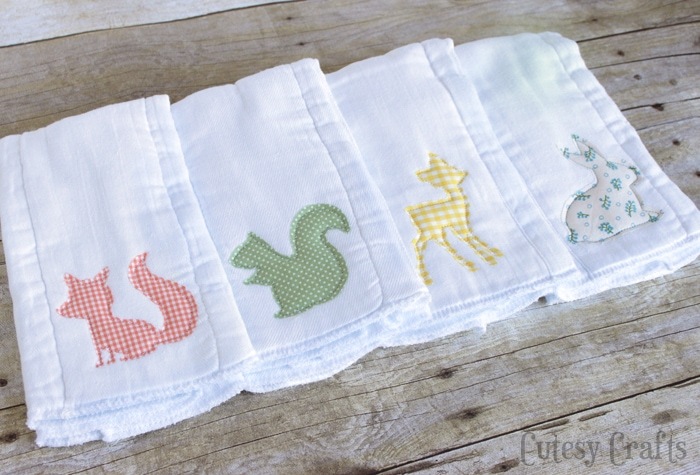 These would make such a cute DIY Mother’s Day gift, and don’t require any sewing. Embroidering the name is optional, but adds such a cute touch. I used my Silhouette electronic die cutting machine for this project, but you can carefully cut it by hand too. 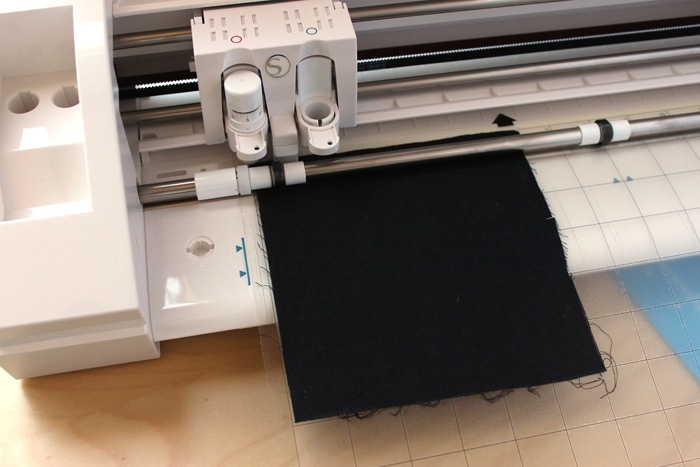 Cut a piece of black fabric that is larger than the silhouette you will be cutting. 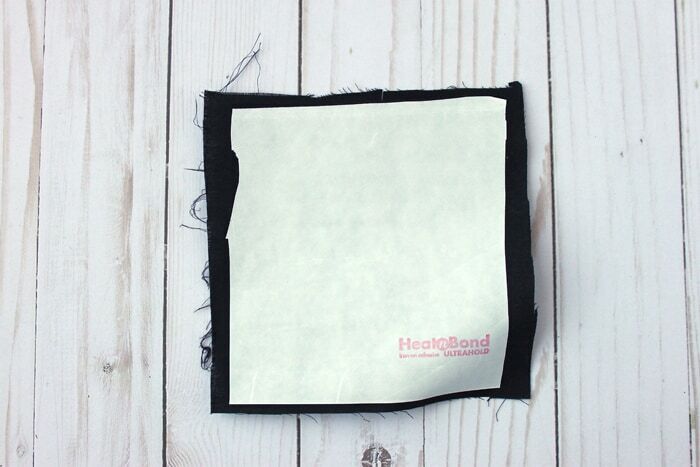 Cut a piece of Heat ‘n Bond slightly smaller than the black fabric. 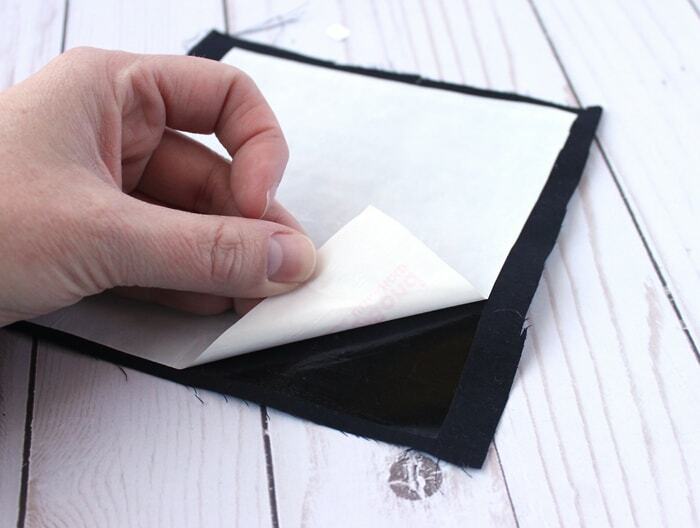 Iron the Heat n’ Bond, paper side up, onto the back of your black fabric. 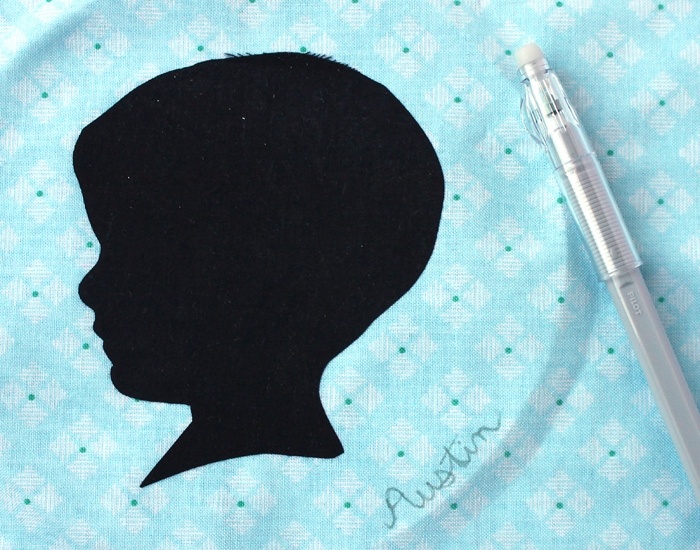 Put the fabric (Heat ‘n Bond side down) onto your mat, and cut out the silhouette using your electronic die cutting machine. 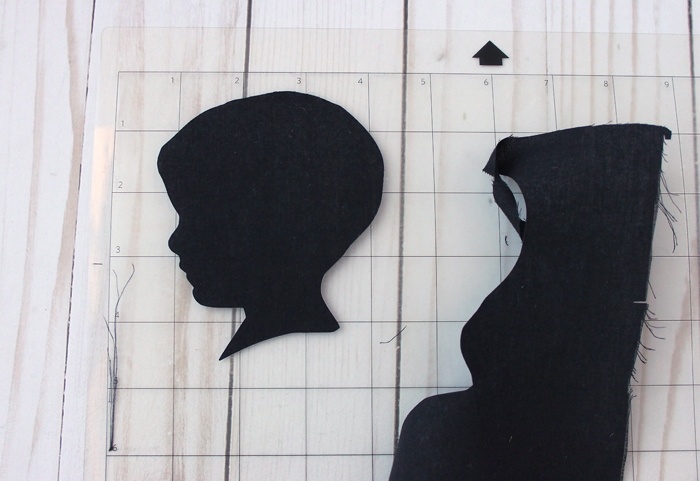 Instructions for how to make a silhouette from a photo and turn it into a cut file can be found here. My Silhouette cut out the silhouette perfectly! Guess they don’t call it a “Silhouette” for nothing! Har har! 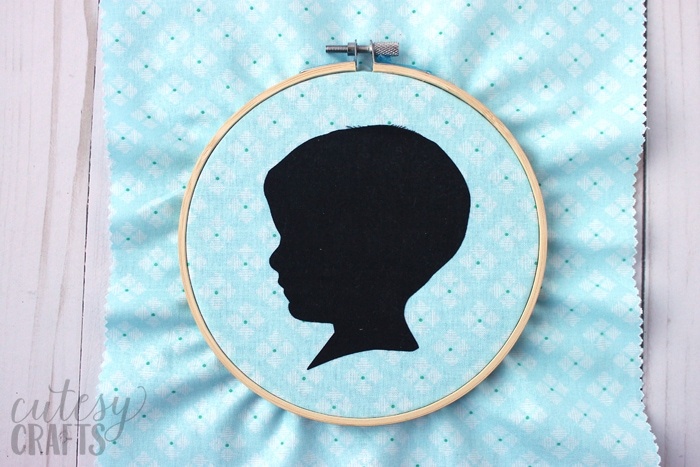 Place the silhouette onto the middle of your background fabric with the Heat ‘n Bond side down. 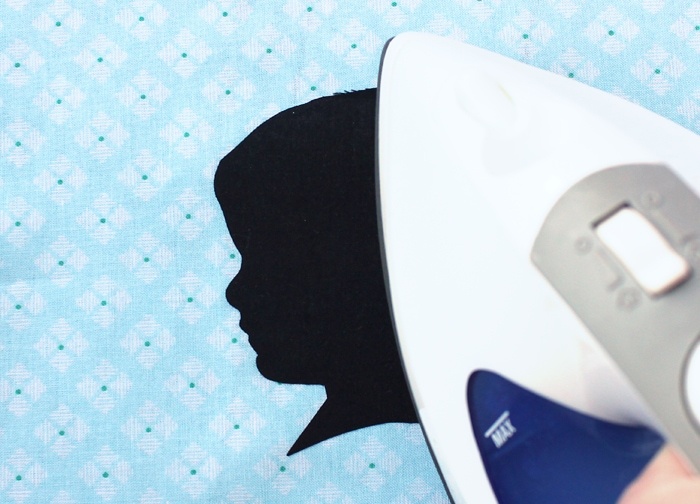 Iron it onto the fabric. 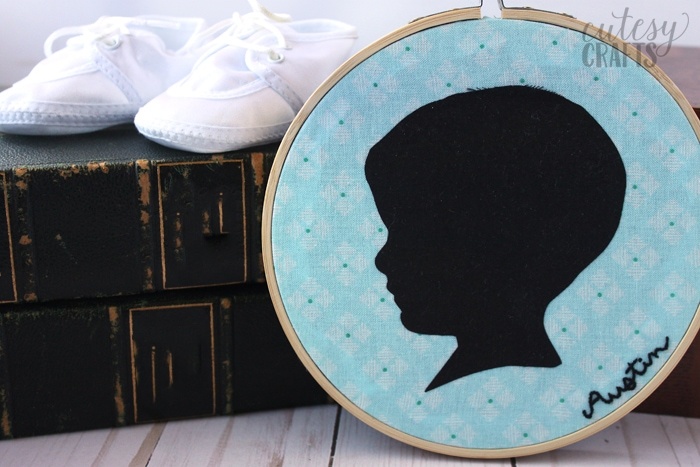 Place the fabric into your hoop with the silhouette in the center. 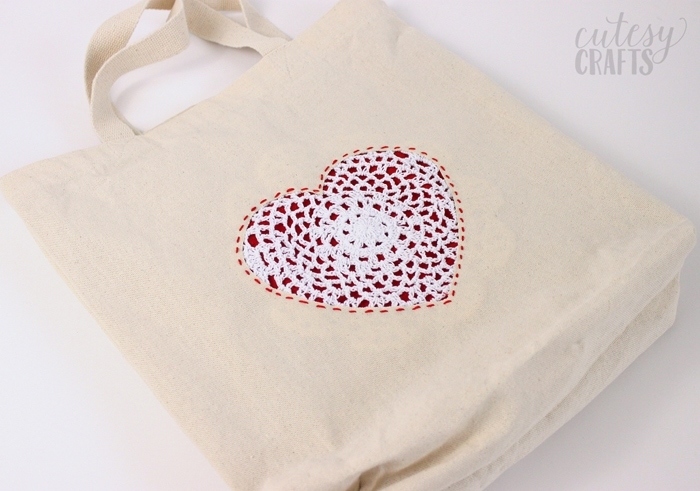 You can be done here with your DIY Mother’s Day gift or add an embroidered name. 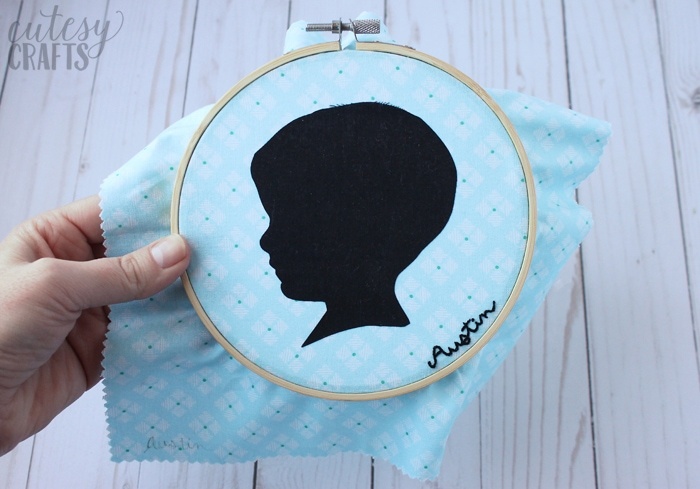 Embroidering small letters can be very challenging, so I recommend practicing before you do this on your actual project. As an alternative, you can just write the name with a fine tip permanent marker or fabric marker. 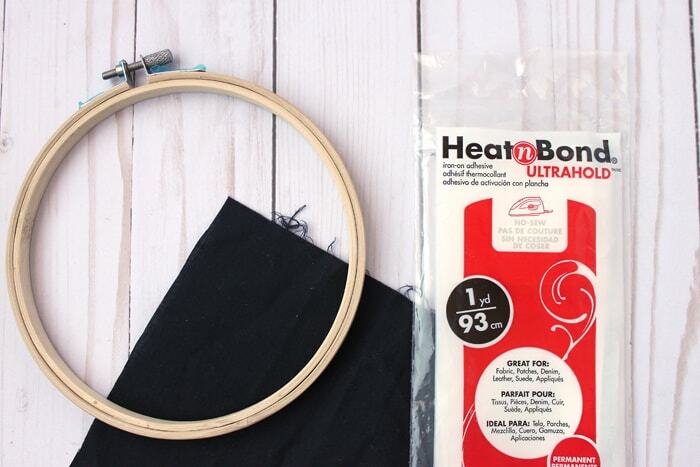 Remove the fabric from the embroidery hoop, and you will be left with a crease to show where the border is. Use a disappearing pen to write the name. I like these FriXion pens, but make sure to only use the gray one on light fabric. If you make a mistake, you can iron over it, and the heat will make it disappear. It doesn’t go away completely, so make sure you only mark the parts you will stitch over. 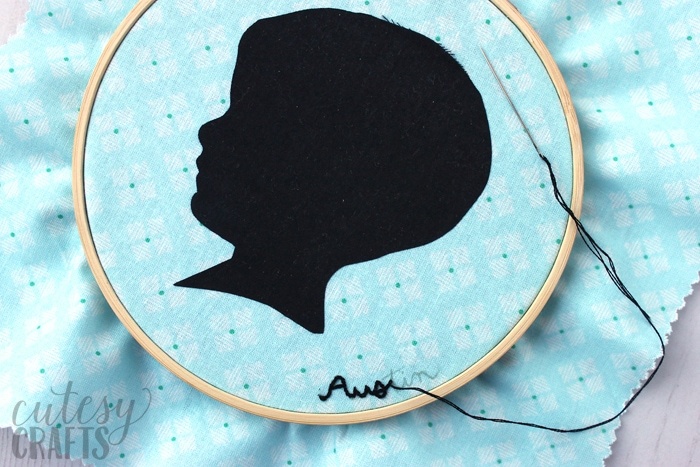 Use two strands of black embroidery floss and a small needle to stitch the name. I used a VERY small split stitch. Make sure you don’t skip around in the back a lot because the black can show through light fabric in the front. Keep the back nice and tidy! Make sure everything is nice and centered in your hoop, and tighten the screw as much as you can on the top. Cut off most of the excess fabric and back the hoop with felt or paper. 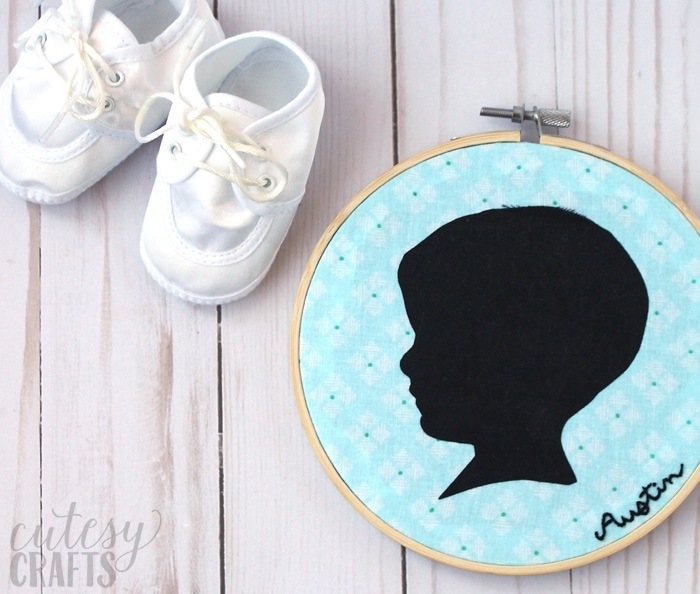 Click here to learn how to back an embroidery hoop with felt. 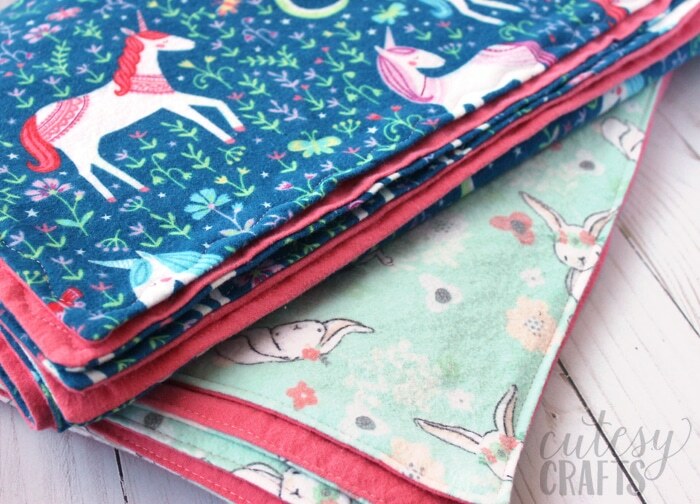 You can also use a hot glue gun instead of stitching. Just remember that the hot glue will seep through fabric, so be careful where you put it. I made one for each of my kids. I love them so much! If I had to do it again, I think I would have put my girls’ hair up in buns. Leah would probably throw a fit the entire time though. She hates having her hair up! Now what I really wish, is that I would have done this for each of my kids when they were toddlers. Something about that little baby face is so adorable! 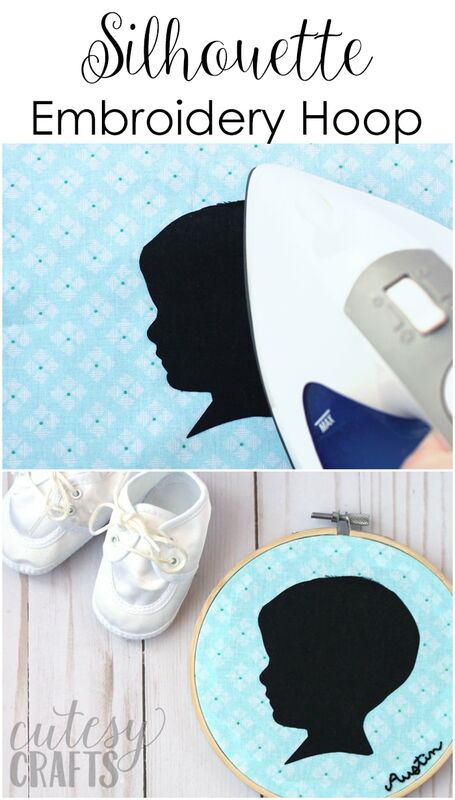 Such a great DIY Mother’s Day gift! 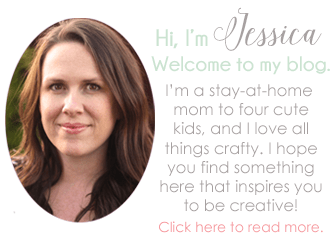 Take a look at my other Mother’s Day crafts and handmade gift ideas. Also check out these other great crafts!